Contrary to some of my previous posts, I’m just not a numbers guy. I’m no mathematician, but I know the odds of winning the lottery are astronomical and for the most part I balance my checkbook, so when earlier in the month I received an email from the WordPress crew congratulating me on the Northwest Harley Blog stats for 2010 I was a bit skeptical. 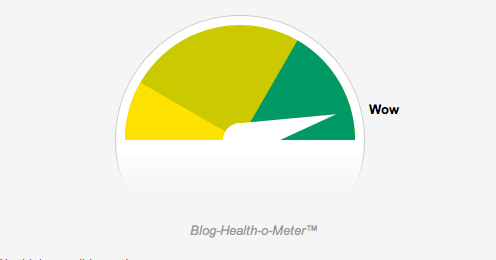 Stats: This blog was viewed more than 207,000 times in 2010. I wrote 170 new posts, growing the total archive on the blog to 708 posts. I uploaded 307 pictures – about 6 pictures per week – with the busiest day of the year being September 10th. Since starting the blog, the all time busiest day was March 9, 2009 (9,120 page views) from this blog post HERE. Where did they come from? : The top referring sites in 2010 were hdforums.com, en.wikipedia.org, mahalo.com, and en.wordpress.com. A lot of visitors came to the site by searching, mostly for sons of anarchy, susanne klatten, occ, vagos mc, jay dobyns, yakuza, and old motorcycles. It’s unfortunate that only one post in 2010 hit the top 5, but it’s gratifying that some of the more popular posts written before 2010 indicate that the content has staying power. What about Facebook? : According to AllThingsNow.com the highest shared post on Facebook related to the Patriot Guard HERE. If interested you can see all the details of shared articles via Facebook HERE. My take away from all the stats? I’m fairly objective when it comes to evangelization, but if I had to write a 10 second news headline it would be something like: “Northwest Harley Blog: After three years a solid start, has a few rough spots. Sometimes brings deep motorcycle news to the masses. It’s an informative site to surf and may well draw both avid motorcyclists and the non- riding public viewers in which Harley-Davidson seeks”. Okay, back to quality writing and time to put away the self-promo soapbox!